Earlier today, a video leaked out showing off what the gameplay will look like for Battlefield: Hardline. Now, it seems PlayStation 4 users might be able to get their mitts on the game much sooner than they’d expect — at least if you’re one of the people attending Sony’s “PlayStation E3 Experience” in theaters. 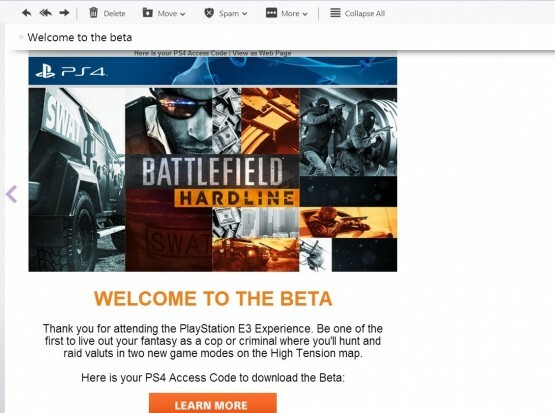 With info shared by NeoGAF users and collected by user shagg_187, it looks like EA and Sony might be preparing a Battlefield: Hardline beta access giveaway for the PS4 during its E3 Experience event. 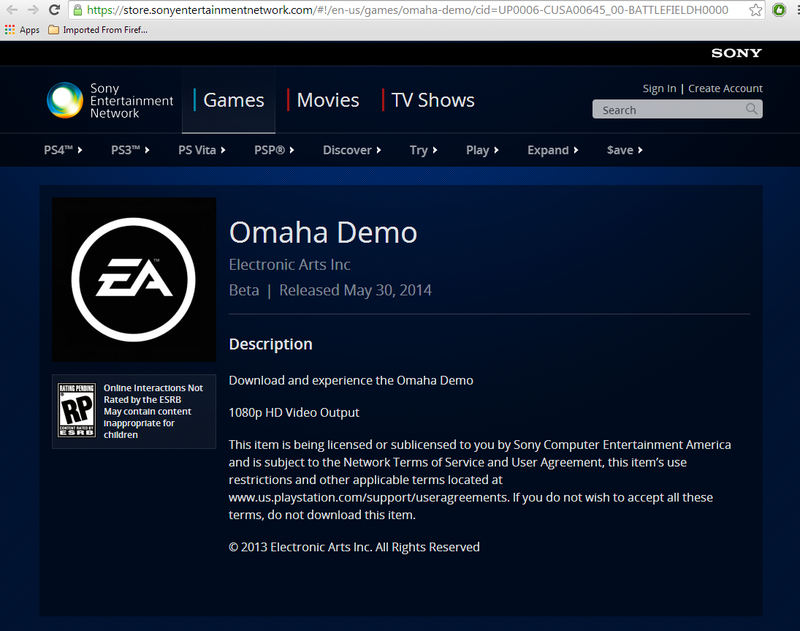 First off, there was initially a “Omaha Demo” listed on the PSN Store (now shows a dead page) that lists it as a product by EA. 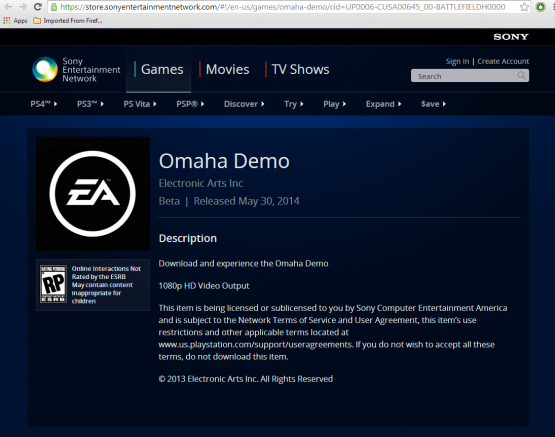 Omaha was the project name used for BF: Hardline by Visceral Games when showing it within EA. If true, then PS4 shooter fans might have a treat in store for them next week. Given that the PlayStation E3 Experience is being conducted only within the US and in select areas only, I wouldn’t be surprised if there are other ways to enter the beta. We’ve reached out to EA and will update the post accordingly if and when they respond. Anyone excited to try Battlefield: Hardline on the PS4 out or will you be too busy immersing yourself with E3 content to even care?